Evoking Chinese culture and traditions with its unique shape and beautiful koi fish design, this stunning 2oz silver figure eight shaped coin is only the second of its kind ever struck by The Perth Mint. The number eight is the luckiest number in Chinese culture thanks to it having similar mean of good fortune or to prosper. Uniquely symmetrical, when laid on its side the coin resembles the mathematical symbol for infinity - an important principle in feng shui used to denote everlasting wealth, happiness, love and abundance. 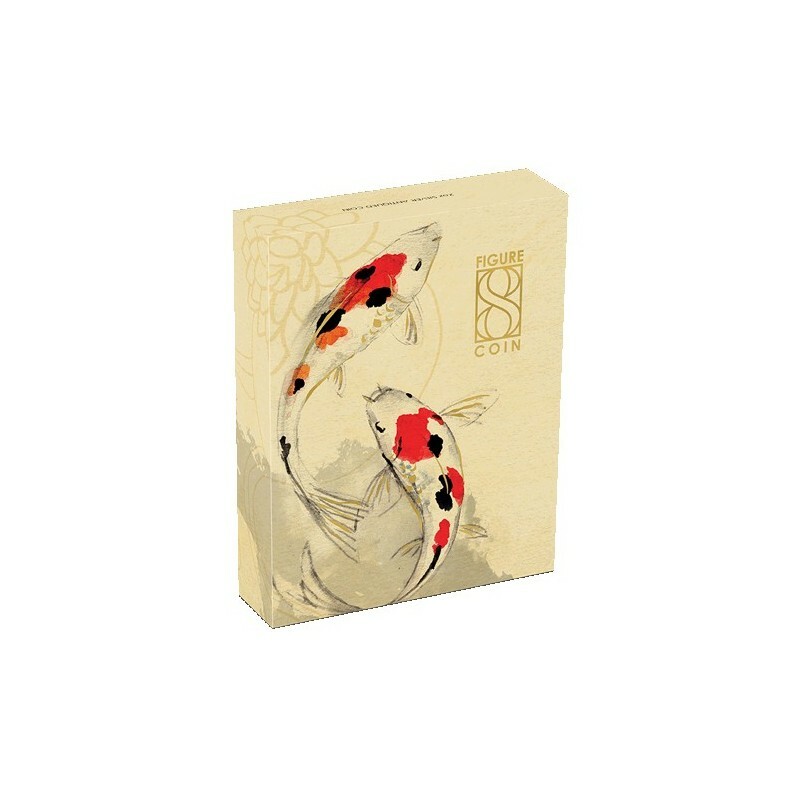 Koi fish are traditional symbols of perseverance, strength, ambition and good fortune and the coin's stunning reverse design depicts two koi fish and a lotus flower. Each coin is struck by The Perth Mint from 2oz of 99.9% pure silver. 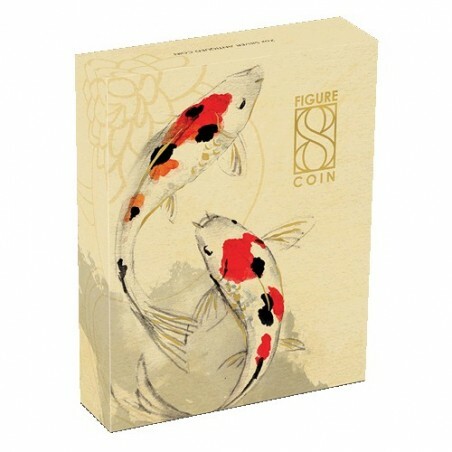 The Perth Mint will release no more than 3,888 Figure Eight Koi Fish 2019 2oz Silver Antiqued Coins. Shaped like a figure eight, the coin's reverse features two koi fish swimming against the currents, and a lotus flower. The Perth Mint's traditional 'P' Mintmark also appears on the design. The Jody Clark effigy of Her Majesty Queen Elizabeth II and the monetary denomination, the weight and fineness, along with the 2019 year-date are shown on the coin's obverse. A pattern of infinity symbols surrounds each circle in the figure eight design. The coin has been individually 'antiqued' to give it a unique finish conveying the surface abrasions of an ancient artefact. As a result of this treatment, the appearance of each coin may vary. Each coin is presented in a clear acrylic case, allowing both sides of the coin to be displayed, and is packaged within an illustrated shipper. Each coin is accompanied by a numbered Certificate of Authenticity.